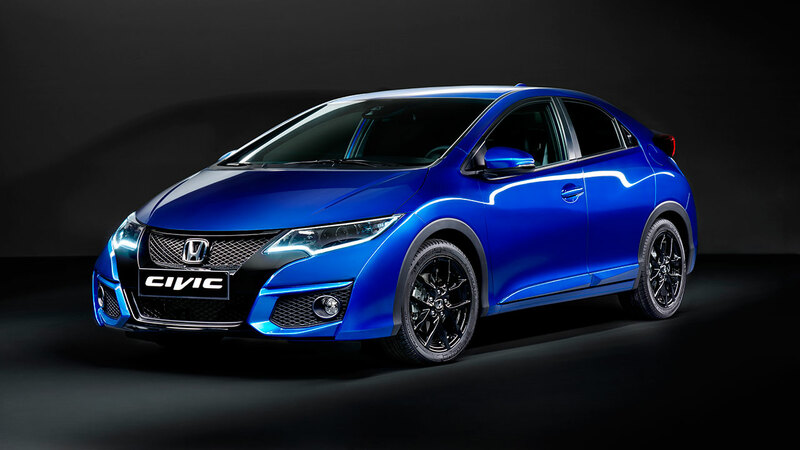 Ahead of the 2014 Mondial de l’Automobile in Paris, Honda has released images and details of several enhancements across the 2015 Swindon built Civic model range and the launch of the new Civic Sport derivative. 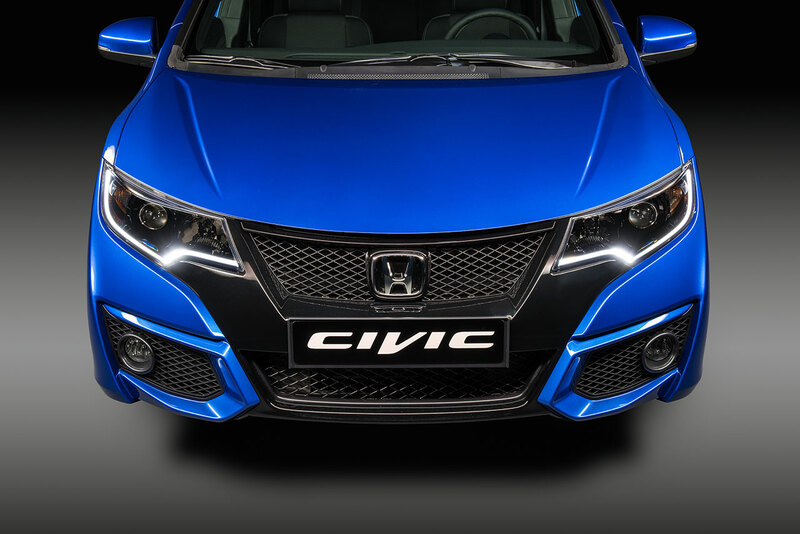 Both the Civic and Civic Tourer benefit from a new front exterior design, providing a new sporty outlook for the model featuring new headlamps with integrated daytime running lights and a new sleek front bumper. 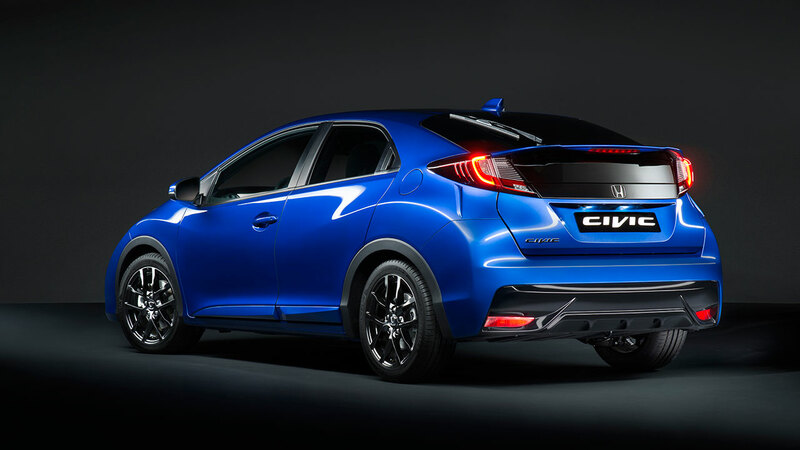 The Civic hatchback also features a new rear bumper, side skirts, a rear spoiler finished in black, and LED rear combination lamps. In-keeping with these premium enhancements on the outside, the 2015 models also receive a specification upgrade inside; with new seatfabrics and stitching on the headrests, new door trims with chrome door handles and a control panel finished in a metallic black. These aesthetic enhancements combine nicely with the class-leading interior space for which the range is renowned. The Civic’s 477-litre and Civic Tourer’s 624-litre boot capacity remain the best in their respective segments. 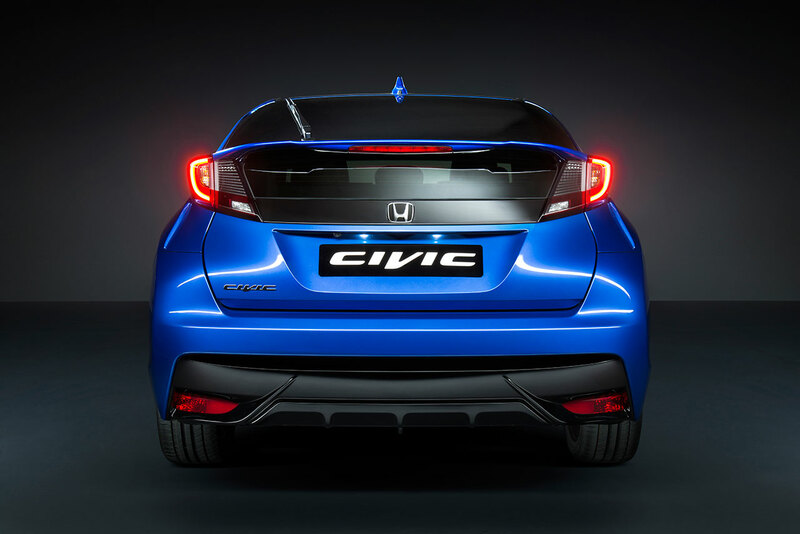 The 2015 Civic range will also premiere the all-new Honda Connect in-car audio and information system. Honda Connect offers convenience and connectivity whilst on the road, with key features including; AM/FM, DAB and Internet Radio, Bluetooth connectivity, internet browsing, satellite navigation* and rear-view parking camera. The system runs Android 4.0.4 and features the familiar pinch, swipe and tap functionality of a smartphoneon a seven inch display screen. The European Civic line-up has been expanded with the introduction of a new derivative, the new Civic Sport. Based on the Civic hatchback, and powered by the 1.6-litre, 120 PS diesel engine or the 1.8-litre, 142 PS petrol engine, it features a colour-coded rear spoiler and 17-inch alloy wheels unique to the Sport derivative. In addition, the Civic Sport echoes the striking design ofthe forthcoming Type R with a new front bumper featuring a lower grille mesh and a black roof lining for the cabin. 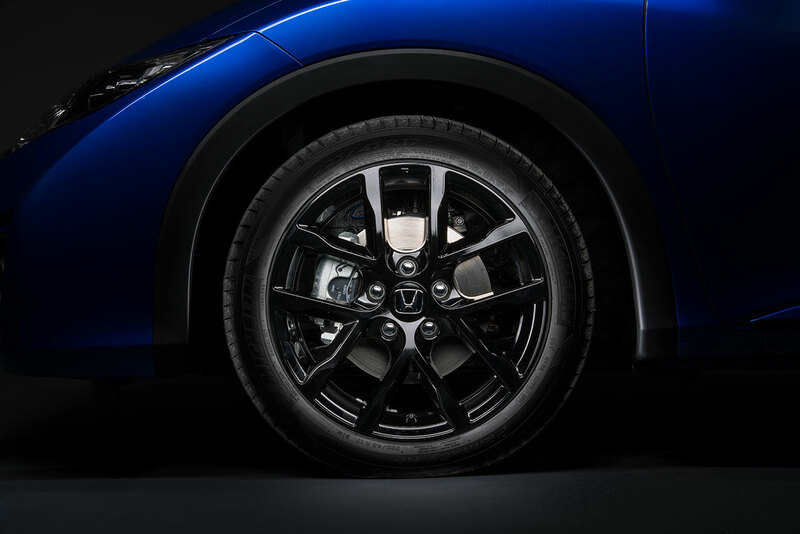 Each model in the 2015 Civic range will benefit from the addition of Honda’s City- Brake Active (CTBA) system as standard. Specifically designed to help avoid or mitigate low speed accidents, the system uses radar technology to scan the road ahead, automatically applying the brakes if an imminent risk of collision is detected. The system is engineered to operate at speeds below 30 km/h. Honda’s press conference will take place at the 2014 Paris Motor Show in Hall 3, at 16:45 CET on Thursday 2 October.